One of the most important things after a pin is a Pinterest board. You cannot pin your pins without a board, hence this is pretty important. As Pinterest is a visual bookmarking site, pin boards help you organize your content based on the topics of your interest. The basic structure in an account is Pinterest Boards in which various pins are pinned as per board description and title. Click and name your board. Pro Tip – When you create a board, you do not get the option of adding the description by default. You need to create the board and then go to Edit to add details in a board. The name of the board or description is not a place to show your creative skills. I bit of fun with words is fine, but remember the Pinterest algorithm serves up search results based on the text added in the image. Make sure that your image description and board description are keyword rich to ensure that they reflect in search results. Though this is a general rule, it is not a hard and fast one, so do not be stuck if you can’t come up with a name based on the combination. Go with what sounds best but try and incorporate simple words that are mostly searchable. Pinterest is a cross between social and search engine. 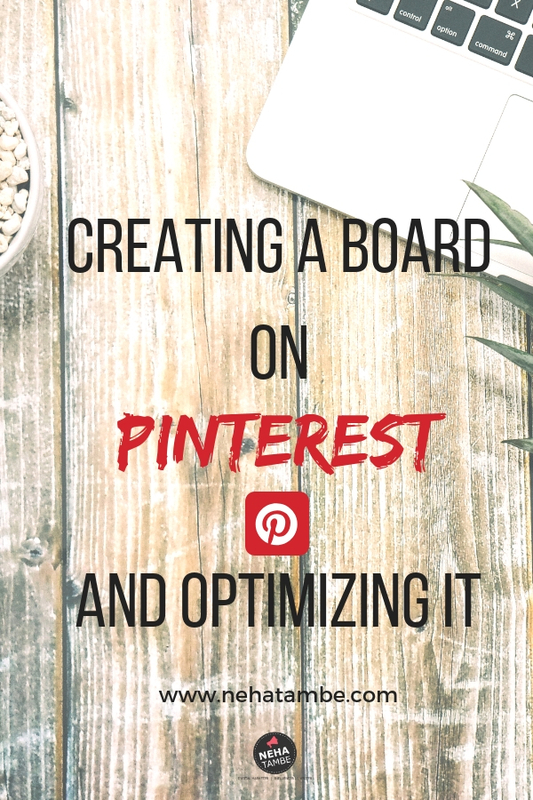 While the whole group board option and the way you can communicate with other pinners is social, the way Pinterest throws up results is very search engine driven. Hence it is important that you focus on most commonly used and searched terms. Once you create a board, go to edit and add a keyword rich description of what your board can include. Pinterest also supports hashtags, so you can use the same with your pins and board description. Make sure that the description is not peppered with hashtags. Write a good description and after that add relevant hashtags so that it gives a clean view. The other important things to check after you have created a board are its visibility and contributors. Once you go to edit and have added a description, next is to choose the board visibility. By default the board is visible to all, however you can choose to keep the board private. Similarly as the board is created by you, you are the owner of it, however if you wish to create a group board, you can add as many contributors as you like. We will know a lot more about contributors and how to create and use group boards in the next post. I have two group boards around Parenting and Blogging. If you wish to be a member of it, follow me and the board on Pinterest and message me to add you to the group. https://in.pinterest.com/nehatambe/all-things-blogging/ Click the link to follow and message me to join as a contributor. https://in.pinterest.com/nehatambe/all-things-parenting/ Click the link to follow and message me to join as a contributor. Pinterest is my favorite search tool now, everything is so pretty. I have made so many boards now! This tutorial is quite helpful for pinterest beginners.